Updated: 27th Dec 2014; This restaurant is closed according to Urbanspoon.com. In the past week we were in vacation, we see quite a lot of Potbellies. There was one just nearby our hotel and since we had no idea where to go for dinner, we decided to just go into this place and check it out. I don’t recall seeing any Potbellies in the Seattle area. Are there one there? 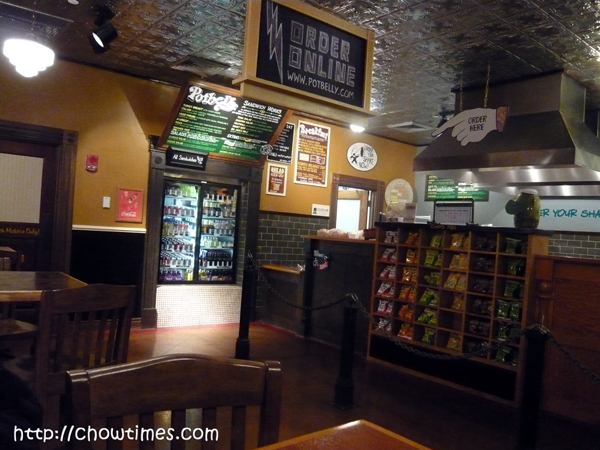 I like the name Potbelly. It gave me the image that it is a place where potbellied big eaters congregate. And on top of that it is not just sandwich … but sandwich “works”. The place were virtually deserted but it is quite a big place though. I guess it is close to closing time for them. The service was great and patient. We appreciate patience because we had no idea what we wanted and really needed help. We ordered “A Wreck” — nice name, huh? We love the wholewheat bread especially … it is very light and crunchy to the bite. Light is good because you get to taste more of the ingredients than the bread. It is served warm and has salami, turkey, roast beef and ham with Swiss cheese. It was pretty good and is better than the Subways that we had in Vancouver. At just only $4.19 (such an odd number), it was a cheap meal. 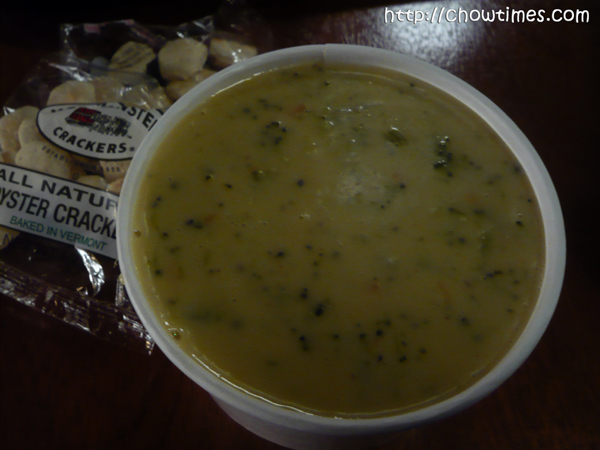 We got ourselves a bowl of soup too. I can’t remember what it was really. Hee hee. My potbelly and I would feel right at home, then. 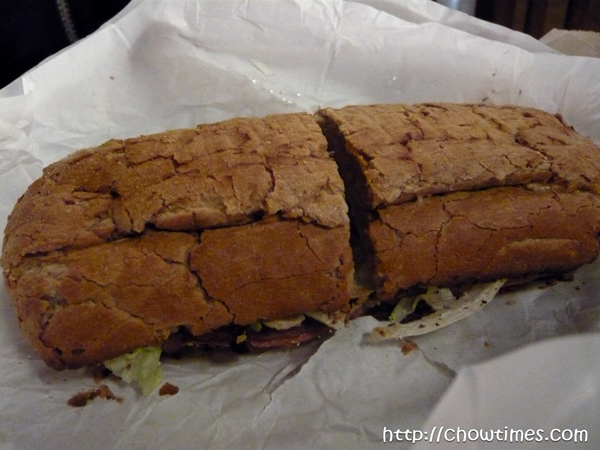 Yup, Potbelly is awesome! If you like spicy, you need to get the giardinera in your sandwich. Or whatever it’s called–the spicy pickled veggies. That stuff is super hot, but super good. You can also get a teeny pack of it on the side complimentary. The shakes are also good–and they come with a tiny cookie around the straw! 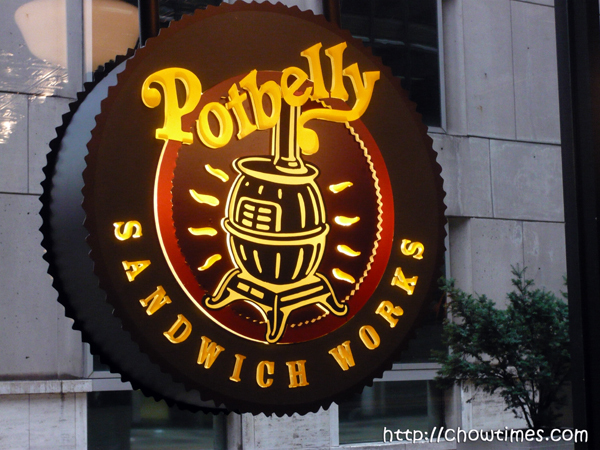 Ah, I still remember when Potbelly only had one shop in Chicago. Now whenever I go back, it’s like there’s one on every corner! They do make a good sandwich, so I’m excited to see them expand. Let’s see if they ever make it internationally! 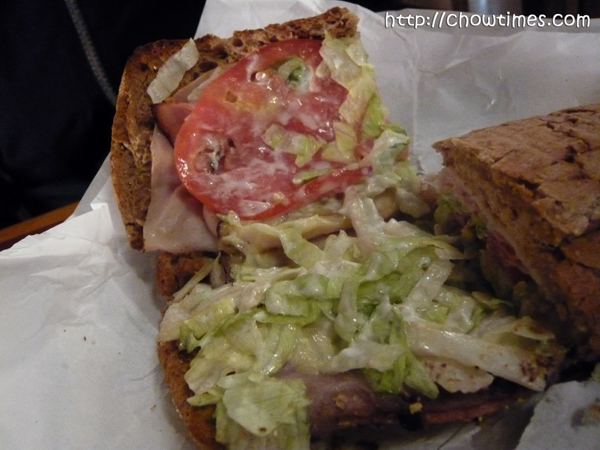 Potbelly is based in the Midwest, and I had my first sandwich at the Chicago Midway airport. It was delicious! I got a breakfast sandwich with turkey, cheese, and mushrooms..delicious! Since it was a breakfast sandwich, it only cost me less than $4. Btw, I’ve been loving this series on the east coast of the states. I’m from the area, and I’m familiar with every place you’ve visited thus far on this trip. It makes me realize how close I am to such great places.